December 3rd, 2010 marks the first day that the 43 health workers, also referred to as the Morong 43, embark on a hunger strike in protest of their unlawful detention. Today also marks the 8th day of GABRIELA-USA’s 16 Days of Activism Against Gender Violence Campaign, on which we highlight the struggle and bravery of the Morong 43. Nearly 10 months ago, the lives of the Morong 43 (which includes doctors, midwives, and community health workers) were violently disrupted when they were arrested based on false allegations that they are members and supporters of the New People’s Army. While under detention, the 43 have endured physical and psychological torture. 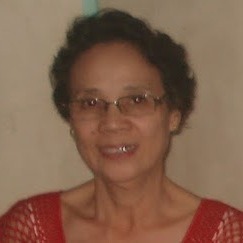 Catherine Traywick, journalist and member of Sisters of GABRIELA, Awaken (SiGAw), traveled to the Philippines and personally visited the Morong 43 in the summer of 2010. The visit to the detention center and the specific experiences of the female detainees of the Morong 43 can be found in the article Traywick wrote for Ms. magazine, entitled “Defending the Rights of Detained Filipina Health Workers” (see below full article). The families of the 43, along with community members from various local and international groups, such as nurses organizations, church groups, human rights advocates, and countless others, have worked tirelessly to demand the release of the 43. Philippine President Benigno Aquino has the ability to have all charges against the 43 health workers withdrawn, but he has not done so, despite his earlier admission that their arrest was based on a defective warrant. Share your ideas with others so there can be a variety of support actions. Release Angie Ipong, Eduardo Serrano, Eduardo Sarmiento and Sandino Esguerra! In an unlawful and unjustified sweep, 43 health workers–including two pregnant women–were detained nine months ago in Morong, Philippines. The women and men were separated and sent to prison camps without explanation. Three women have since “disappeared.” Find out more in this exclusive interview with the women workers from inside the detention center. When we enter the women’s ward of the sprawling, open-air prison complex, we are greeted by a flurry of yellow behind a thin wall of bars. The 23 women we have come to visit are already waiting, buzzing around a wooden table just outside of the cell they share, eager to embrace those among us whom they knew in their former lives. Each is wearing a brightly-colored t-shirt that reads “Free the 43 Health Workers” and, as the barred gate closes behind the last of us, the crowd bursts into song–a hymn about the strength of women–and some begin to cry. At the time of our visit, the women (who range in age from early-20s to early-60s) had been imprisoned at this facility for nearly two months and, prior to that, were detained at a high-security military camp for three months. As I write this months later, they are still behind bars. By now, they’ve been locked up for nearly nine months—long enough for two of them, pregnant at the time of their arrests, to give birth in jail. Within the crowd of 23, one woman is a doctor. Two are midwives. The rest are volunteer community health workers. They are happy to share their stories. One by one, on the day of our visit, they recount the day of their arrest: That morning, they had been participating in a first-responder health training at a local doctor’s house, sponsored by Community Medicine Development Foundation. In the middle of their workshop, they found themselves surrounded by armed Philippines military and provincial police. They were all, indiscriminatingly, bound, blind-folded and brought to an undisclosed location where they were interrogated for 36 hours and, some say, tortured. They were 43 when they were arrested in Morong, Rizal. Now they are fractured into three groups: 23 women are housed here, at Bagong Diwa Prison; 15 men are housed in the same prison’s high-security ward; and five women and men remain isolated at the military camp. The arresting officers claim that the health workers are members of the New People’s Army (NPA), the armed wing of the insurgent Communist Party of the Philippines. They also claim that the health workers were making bombs at the doctor’s home. Recently, they started claiming that the health workers were medics of the NPA. The accusations are ever-changing and outlandish, even in a country as deeply divided as the Philippines. When I ask them, the women vehemently deny all accusations. Numerous local human rights, health and women’s organizations have similarly rejected the allegations, in support of the health workers. The national ire sparked by their continued imprisonment has since fomented into international outrage. Amnesty International has called for a prompt and independent investigation into the legality of the arrest and detention of the health workers, as well as into allegations of torture, and the president of the Philippines has even spoken out (albeit cautiously) about the illegality of the arrests. But as yet all 43 remain in custody. Sitting amidst the women, whose stories evoke both tears and laughter, it would be difficult to believe that they are terrorists, as the military claims. It’s much easier to believe that they are victims, caught up in the government’s controversial counter-insurgency campaign before anyone knew what was happening. For hours, they talk about the indignities they suffered at the military camp where, for five days, they were denied their right to counsel. One of them explains that they were diapered during the first 36 hours of their detention, after which they were only allowed to use the toilet with the assistance of guards, who removed and replaced their underwear each time. An older woman tells us that she was isolated from the other women and that the interrogating officer repeatedly called her “mother” in between accusations. Another young woman recalls the day that three women were removed from the cell they shared, the guards muffling screams with heavy palms. They never saw those women again. They have since been told that the missing women, along with two of the men, are still at the military camp and that they are “cooperating” with officials. While the health workers maintain that they are not affiliated with the NPA, they are honest about being community activists. 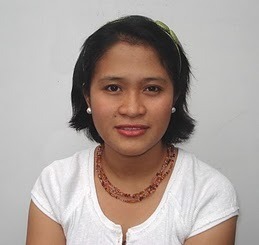 “It’s hard to be a community health worker and not become an activist,” explains Merry Clamor, a 33-year-old doctor. When one sees the poor conditions of the people, she adds, one is compelled to advocate in their interests. The contributions of health workers are profoundly felt by Philippines communities, which is, in part, why so many are outraged by the ongoing detention of the Morong 43. Following implementation of socially retrogressive programs imposed by the World Bank and the IMF in the 1980s and 1990s, the nation privatized its health-care system, effectively rendering it economically prohibitive and thus inaccessible to most Filipinos. According to Ibon International, privatization has lowered government spending on health care to a mere 1.7 percent of total national expenditures over the last decade. For many Filipinos, the care offered by all-volunteer community health teams is the only care they are likely to ever receive. The Morong 43 are not the first community health workers to be accused of being NPA members and summarily arrested. At least 8 others have been detained or killed prior to their arrest. The human rights organization Karapatan, which keeps a running record of detentions, disappearances and deaths associated with the government’s counter-insurgency program, calculates that 59 women (of 317 people in total) have been taken into custody as political prisoners under the current administration–among them community organizers, health workers and environmental activists. Before we leave, they insist on singing us another song. CATHERINE A. TRAYWICK is an immigration blogger for The Media Consortium, and a staff writer for Campus Progress. She interned at Ms. in the spring of 2010. She has a B.A. in English and a minor in Women & Gender Studies from Arizona State University.